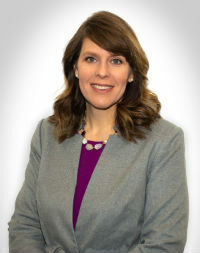 COLUMBUS—Columbus Metropolitan Library (CML) has hired Jennifer Baumann as Public Services Director. Baumann has served as interim Public Services Director since October. As one of CML’s four Public Services Directors, Baumann will report to the library’s Chief Customer Experience Officer (CXO), be responsible for strategic direction, budget oversight, program coordination and overseeing operations at CML’s Franklinton, Hilliard and Hilltop branches and its Main Library. “Jennifer has continually demonstrated her passion for librarianship, customer service and the vision of this organization,” said CML CXO Alison Circle. Baumann has been with CML since 1999. She has served in numerous roles, most recently as Manager of Adult Services at Main Library.